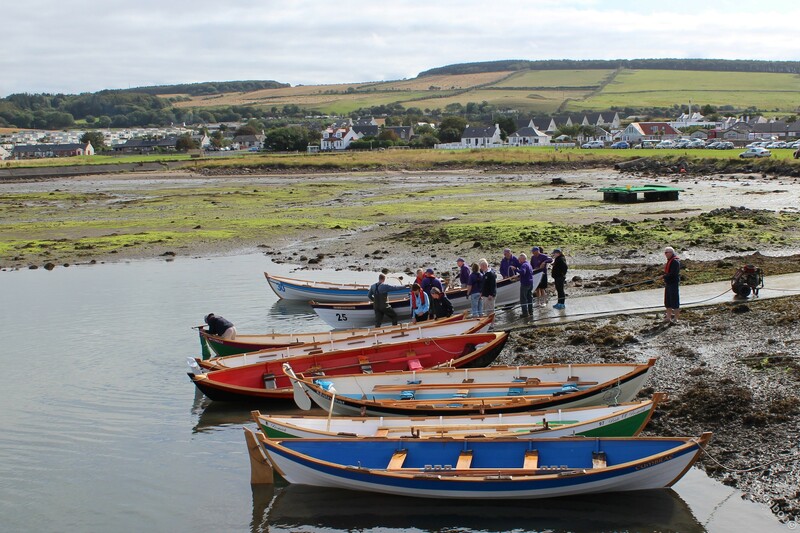 This was the third Exciseman’s Chase, hosted by Carrick at Maidens harbour. 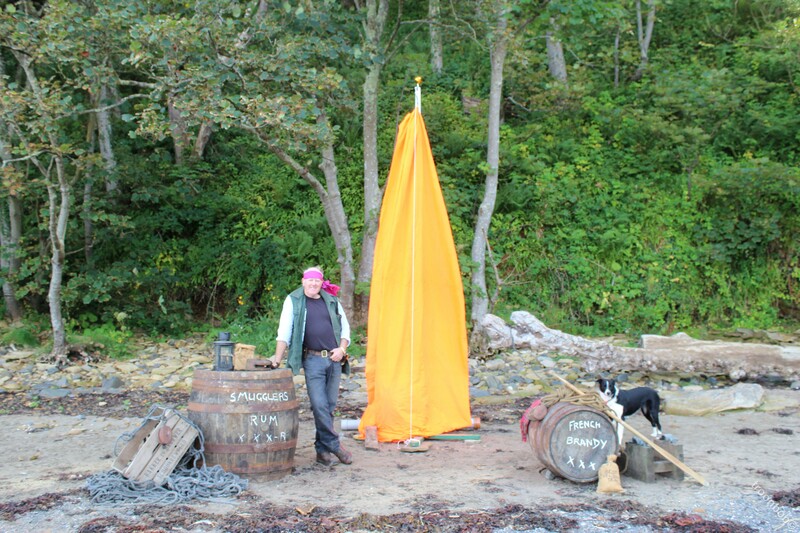 The race begins with a runner setting of from the starters tent with a token,the token on board, the skiffs set off at intervals, destination Gas House Bay under the shadow of Culzean Castle. 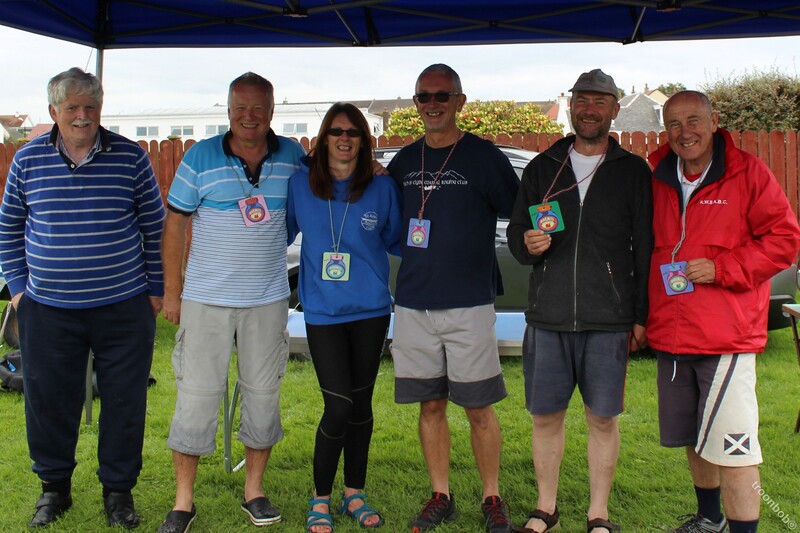 The plan is again for a runner to take the token from the arriving skiff to exchange on shore for a bottle of whiskey back to boat, crew changes for dash back to harbour round trip 8 k.
First crew appearing is Anstruther with a low tide ,grounds some 100 metres or so from beach. 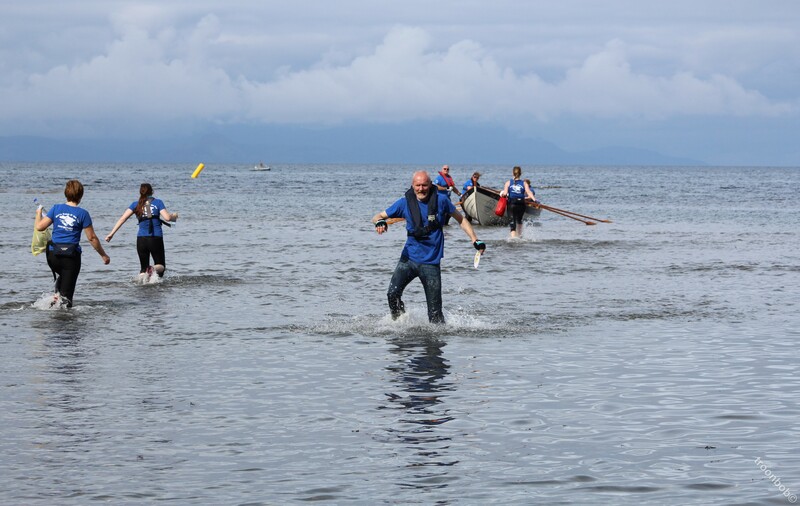 A comical sight watching someone trying to emulate Usain Bolt but through water wearing wellies,comical until it is you’re turn ,the legs soon become very heavy the sea water feels thicker. 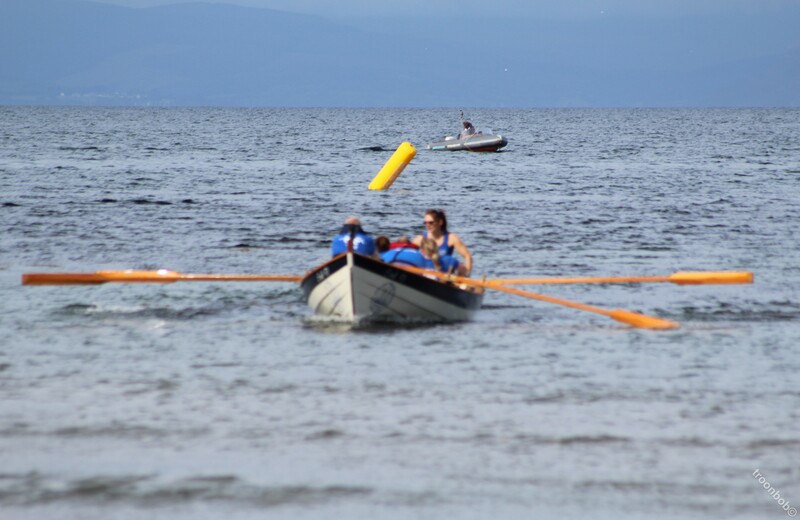 As the boats arrive coxs are unaware of some rocks barely covered,with the unfortunate Girvan finding themselves high and fast on a rock,with some assist from a safety boat she is freed,I believe without damage to continue the pursuit this delay not helping the brave crews overall time. 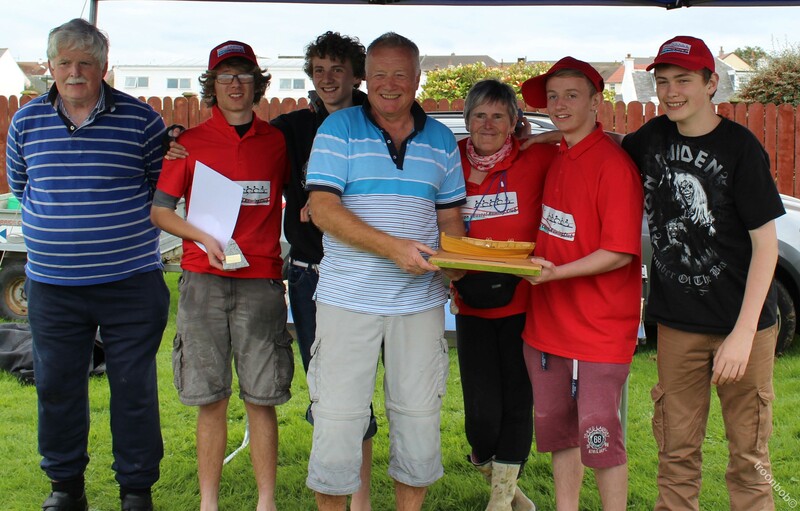 First race the Juniors , Carrick v Girvan , First across Girvan. 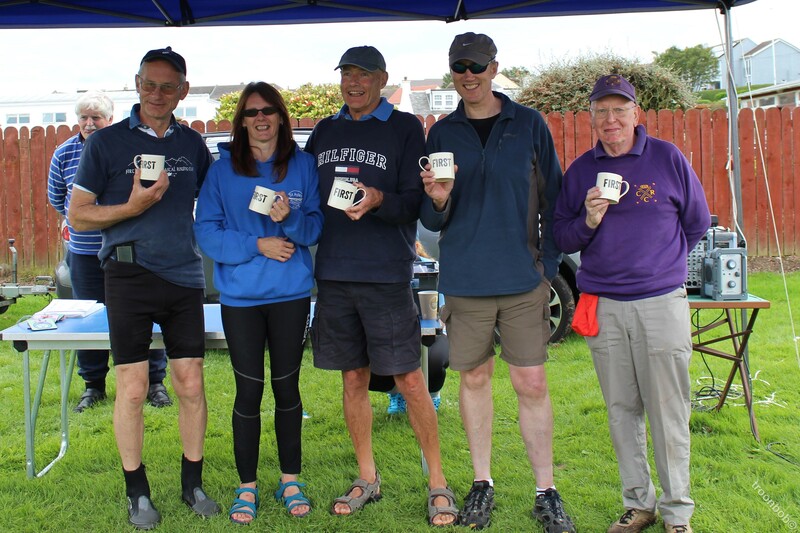 Next novice race won by Anstruther skiff , with a composite crew from several clubs. 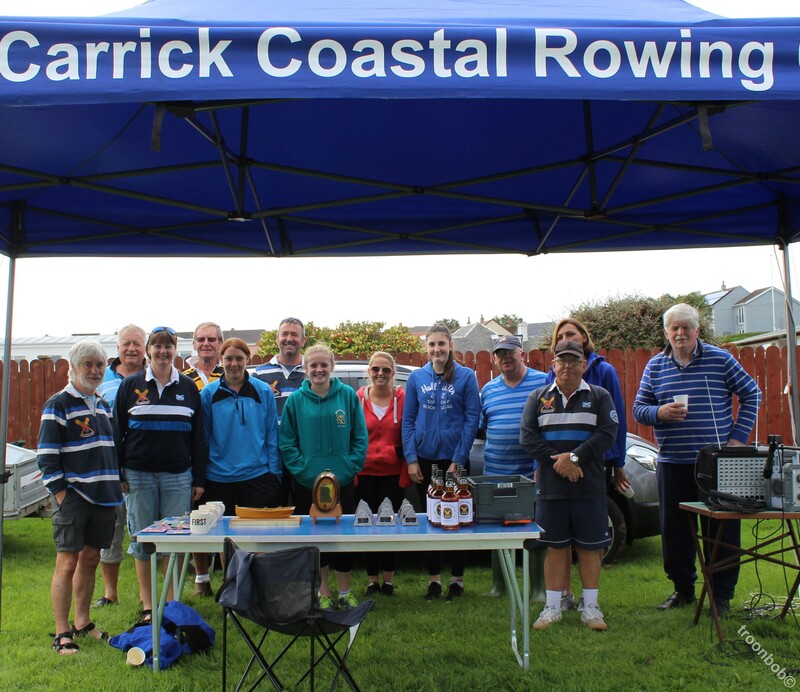 Final sprint was a mixed event with each skiff having a crew of rowers from other clubs,won by the Royal West skiff. Representing Canada here was Stewart Bates from the Ayle Of Quinte skiff club, I believe Stewart coxed for Royal West in the long race and rowed in the mixed sprint. 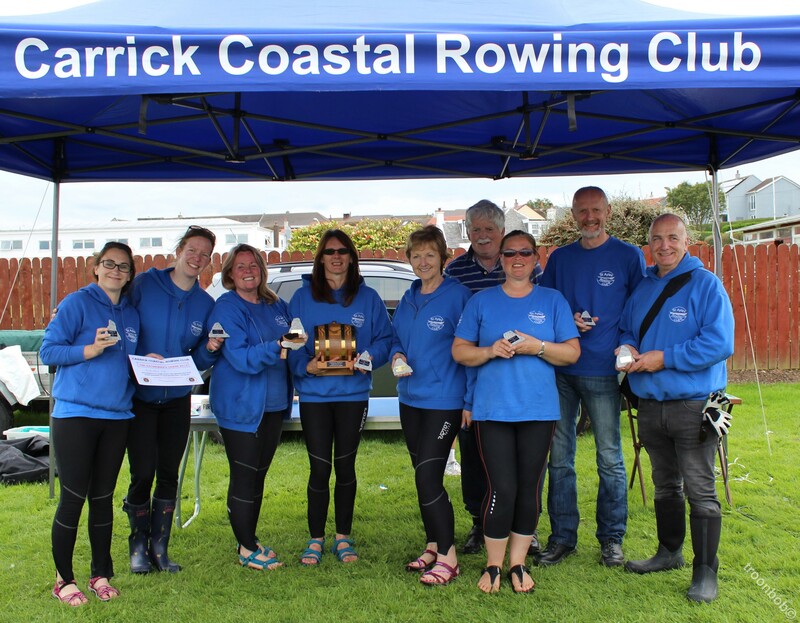 All clubs received a certificate and special event bottle of whiskey. As usual reports include praise for hosts and hospitality. I have seen excellent catering at quite a few events, but here Carrick would have scored tens all round on Come Dine With Me. From first arrival tea coffee cakes in abundance, on top of the come to be expected burgers etc . A long buffet table ,soups, platters laden with chicken and a selection of cold meats numerous salads,stuffed vine leaves and yet more varieties of cakes than a honed athlete wishes to be tempted by. Many thanks from all attending . The day is played out under the sun ,again thanks to Fergus or Henry for organising that too. 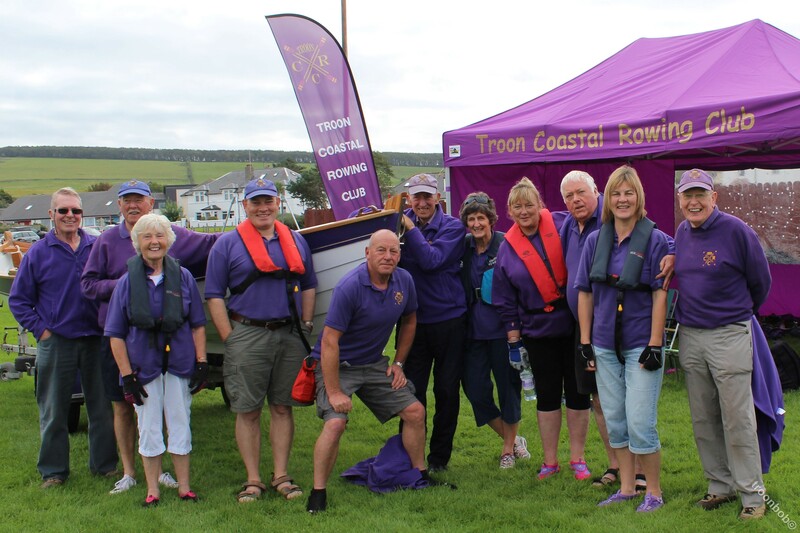 A good performance from our Troon team with more attention to timing ,stroke length and observing other clubs techniques,we move slightly more up the result tables. Rowing on Loch Ken ?